Toyota RAV4 Service Manual: Vehicle speed sensor "A"
Toyota RAV4 Service Manual / 2Az-fe engine mechanical / Sfi system / Diagnostic trouble code chart / Vehicle speed sensor "A"
The ecm assumes that the vehicle is being driven, when the indicated engine speed is more than 2,300 rpm and 30 seconds have elapsed since the park/neutral position (pnp) switch was turned off. 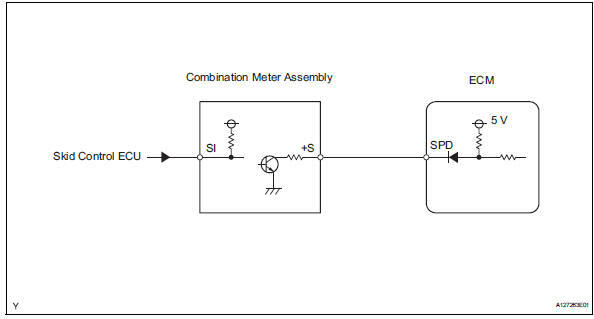 If there is no speed signal from the combination meter, despite these conditions being met, the ecm interprets this as a malfunction in the speed signal circuit. 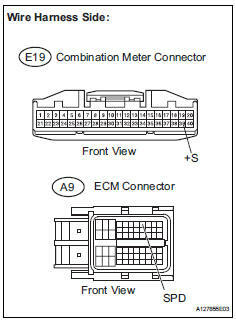 The ecm then illuminates the mil and sets the dtc. 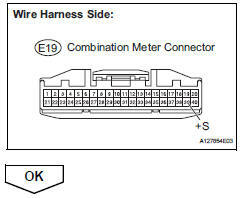 Drive the vehicle and check whether the operation of the speedometer in the combination meter is normal. If the speedometer does not operate, check it by following the procedure described in speedometer malfunction (see page me-41). Select the following menu items: diagnosis / enhanced obd ii / data list / primary / vehicle spd. Ok: vehicle speeds displayed on tester and speedometer display are equal. Measure the voltage between the terminal of the combination meter and the body ground. Shift the transmission gear selector lever to the neutral position. 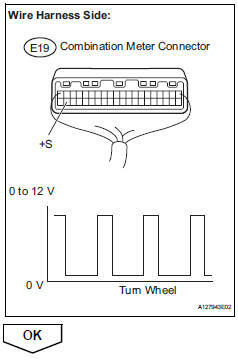 Check the voltage between the terminal of the combination meter and the body ground while the wheel is turned slowly.